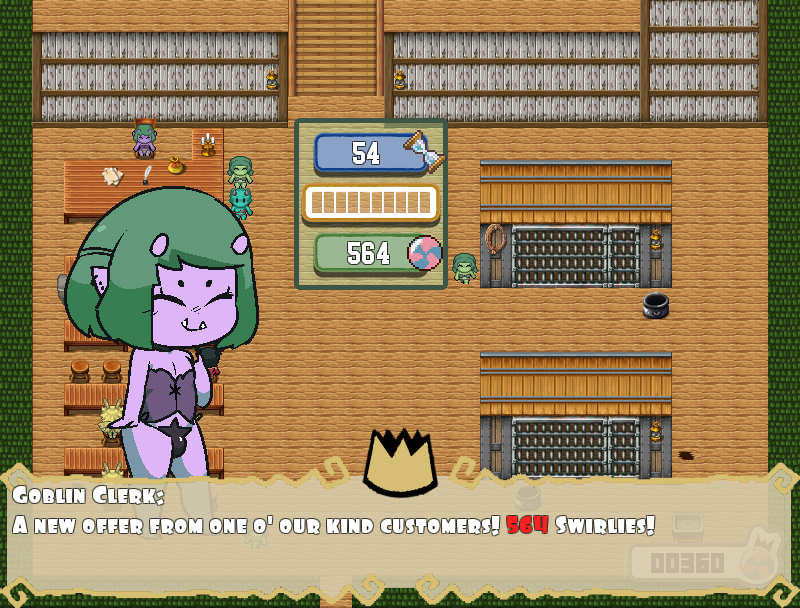 Princess & Conquest is a hybrid RPG game where you, the Knight, will have to decide the fortunes of a Kingdom, punged into chaos after a certain "incident"! There's currently 13 main Reigns, but the final version of the game will have 20 of them fighting for supremacy! 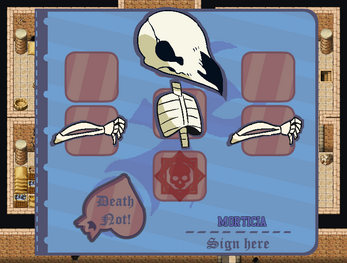 The combat is action-packed, there are unique skills for every party member, there are sieges, boss-battles, traps and everything you need to add the right amount of challenge. All the main Princesses can either have their Classic look or a Custom one! There's thousands of possible different looks for each one of them, and the game will adjust the animations and dialogues accordingly! You want to protect her smile? Stay away from Lust points and shove them into Power if you want to make her stronger in battle! If you want her to have eyes only for you, invest her points into Love. Wealth points, instead, will give you more Swirlies from the events related to that companion! With a bunch of quests that you can get at the Guild you will always be busy doing something! There's a lot of Visual Novel sections in the game, in which we are investing our energies as much as with the RP/strategical ones! 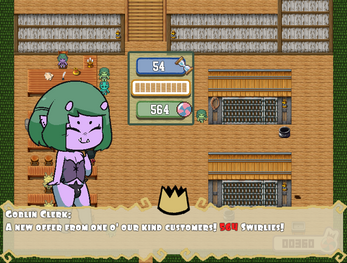 The player can interact with princesses and NPCs, gaining Affinity Points with them, that will eventually permit you to access the fluff 'n lewds. We go for quantity AND quality, the artworks are made by professionals and the writer is really talented, I hope you all enjoy what they're creating. Every NPC race has its own set of animations, that will adapt to the NPC you're "lewding"! 70+ NSFW animations are included in v0.16! What we're aiming for is a complex, adventurous and adult experience. We're not scared about experimenting and exploring uncharted territories when it comes to adult games. 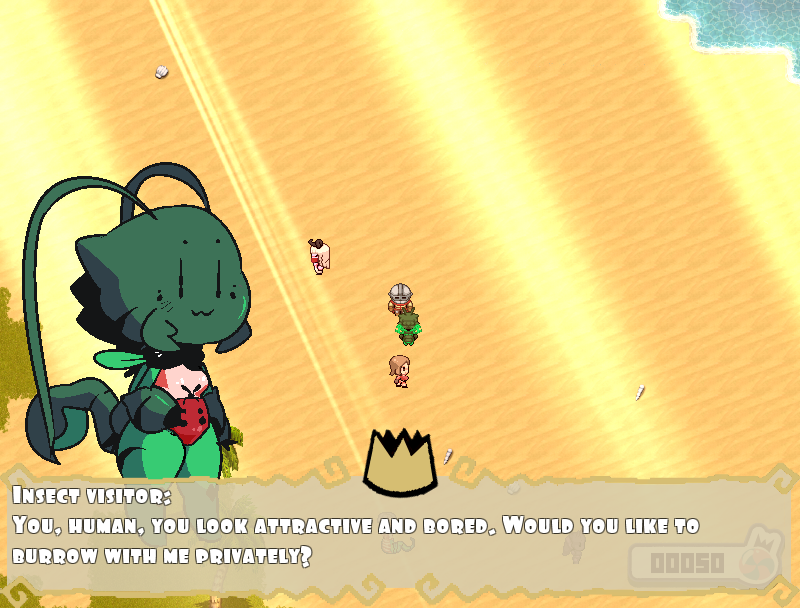 In Princess & Conquest you will always find something new, most events are daily drafted by the game engine and there's no end to the different looks for the characters you may find during your playthroughs. We're now over 100k different looks, in almost 20 races, without considering there's a bunch of dresses each race of NPC can wear. 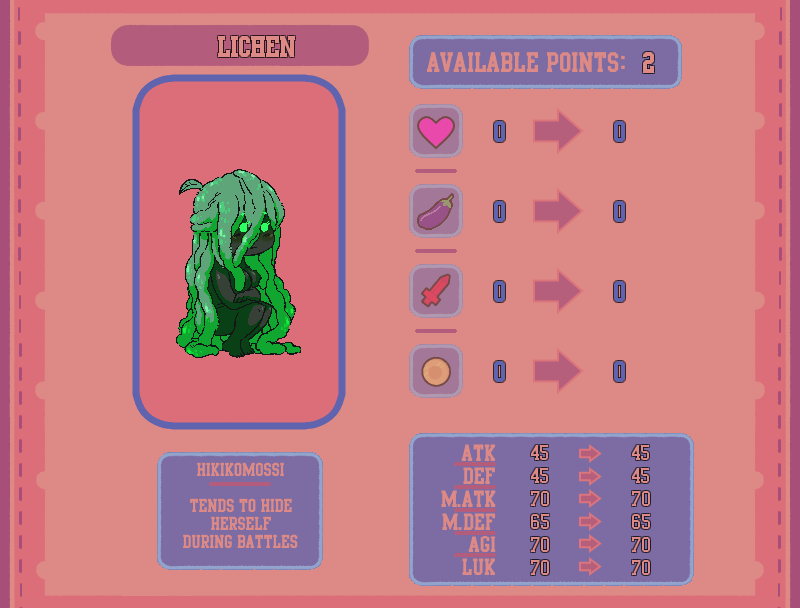 You can find more about the game in the Wiki ! 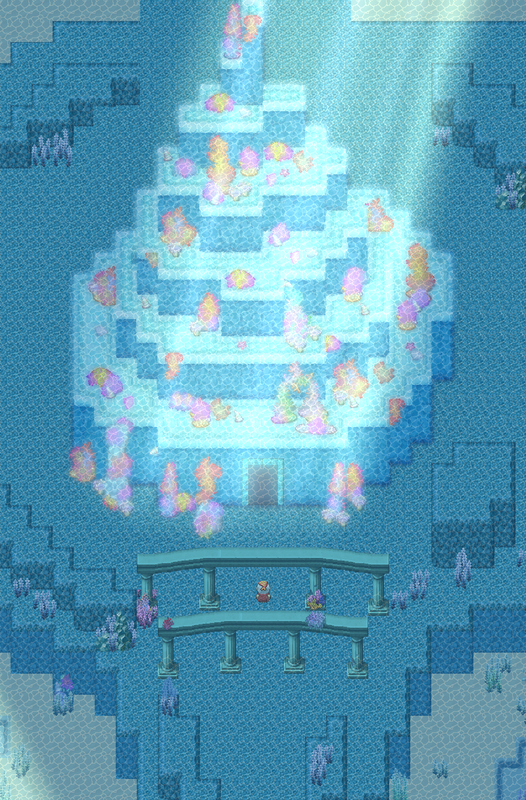 There's a lot to discover, make sure to give it a look if you want to enjoy Princess & Conquest fully! Towerfag, that's me, I'm the project manager and programmer of the game! TSU, our new portrait/costume artist! Working on new portraits, new forms and new costumes for all the girls of Princess & Conquest like there's no tomorrow! 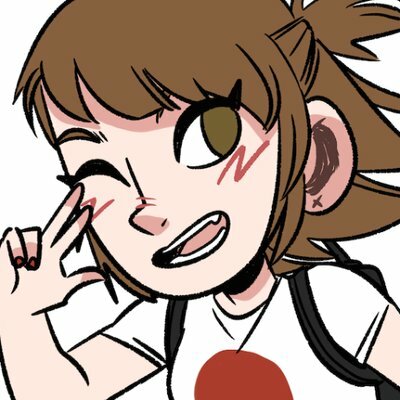 FlynnFlann, working on the interface! To see what he's capable of, you can check his work in here! If you want to see some of the newest stuff that has been added, check out the new Slave Auctions and Necromancy videos! Keep in mind that every NPC you get this way will become part of your team! It has been year I didn't see your game on store and welcome back. i have found your name. However i can't find you. Is there a way to privately message you about an issue with the game? Consider that old versions are no longer supported, but I'll try to help you as much as I can. Is it only a pre-order? It game is under downloadable game but I only got a discord invite. The development is still active (and more than ever, feel free to check princessconquest.com), but we cannot release updates until we deal with a lawsuit against us. The Discord works, it's just you cannot write since you've got access only to the "Announcements 'n Stuff" channels. When there's news I can share I'll do just that. So after being in the discord for a bit, I find it to be a rather useless invite. Can't say anything, can't view any past history and if you refresh discord itself it hides anything that you had seen before. If I could suggest an idea, perhaps make more 'public' places where people can talk rather than keep everything so private and under lock and key. Don't get me wrong, I get the reason to do some of it, but this feels overly constrictive. Those rooms you wish to keep private, you can keep private, that's fine. But as it is, right now it's utterly pointless to even be on there. I love the game and would love to support how I can, even though I'm unemployed (Which is why I can't be a patreon). Right now you should be able to read the announcements section, and that channel will be kept updated with the latest news and ETAs about when we will finally be able to resume releasing updates. Thank you for opening those up to be viewed now. It's greatly appreciated! Someone reported it to me already, you should be able to read announcements now. Feel free to contact me directly on Discord for other issues related to our server in there. The Discord invite file is set as pre-order, so we can't download it. My bad. What about now? I can't get the link either, i bought the game 210 days ago but I still can't get the link! Nobody can. Like I've wrote, all the links for the versions prior to v0.14 are down and won't be back. We've completely rebranded the game, but before we could release v0.15 to our supporters I've recieved yet another lawsuit we're currently dealing with. Does that mean I have to buy the game again? No, when a new version is out, if you supported us in the past, you will be able to download it. So, I've purcahsed the game like 200 days ago for 9.99$ but, I'm unable to get discord txt file tho. Should I repurchase game or what? Seems as though it's set to be a preorder, and not yet downloadable. Sorry, like I've posted on Twitter and the Patreon page before the suspension, we're facing one again a lawsuit against us. We'll manage, in the meantime I'll send out to our supporters on Itch.io too invites for our Discord chat. Where do we get these Links to the Discord? Via our Associated Itch.io E-Mail? It's on the Itch.io page now! I still can't download the discord link. Alright, this is getting a bit ridiculous! Would you (Towerfag) please tell me what is going on with the game? Your Patreon is flagged and nothing new has been posted on your main website. the game will one day be in another language ? EDIT: All right, guys, it looks like it'll be later on, I read on their site that v 0.16 is in the works because of a technical issue, which is understandable. Go, devs! They're actually working on v0.16 while they wait for v0.15 to be cleared for release, I believe. It's ready, but delayed. Is v0.15 coming out anytime soon? I thought it was supposed to launch on the 30th of August. It is, it is. We're just preparing the final bunch of needed costumes to make sure none of those gets cut with the rebrand. Is there any way to download patches for earlier versions like 0.13 or should i wait for 0.15 to come out? So, yes! Definitely wait for v0.15! Aaah so simply unfortunate timing on my part. lol Thank you for the quick response! Can't wait! Thank you, this was extremely helpful. Edit: is there a "young progeny" feature planned? ie, "kids" that grow up after some time? This game's no longer available for Windows on itch? Is this a bug because of the rebranding? It's not a bug, but yea, we're rebranding, that's why there's no DL link for now. With v0.15 (will be out during this summer) we'll resume sending out releases often, like before! v0.15 links will appear as the new version is ready! I suggest you keep yourself updated on our website! how can I found costume and recruit princess? But does that mean the page will be back here when everything is settled as well? So while the DMCA is still a thing here, is there an alternate place to download the game from? I've recently popped back around and was looking to play the update. Really hoping this gets sorted soon and we can get back to having the game in here, any word on that Towerfag? Will the option to have conquer endings only be through cheat codes? I am willing to pay the patreon fee, but im just curious if it will be ever implemented in the itch.io version? how can I go meet dragon princess II ,can you guy tell me? Keep your Intellect low while raising the rest if you have a Warm Ore on you, or get a Fairy to fly to her castle. a former artist working for me sent us a DMCA (he did already last year on Patreon and we dealt with it). We'll try to get the Itch.io page back online as soon as possible! Well that's a good thing. I was worried you gave up over here. I am sorry things had to go this far. I hope so too, itch.io is the only way I can support the team, It would be a huge bummer if it ended. Don't think this was intentional. Noted, it will be fixed for the next patch. not quite as important, but humorous just the same, bunbuns ears have a problem here. Wait, that shouldn't be happening in your current build. Is the Patch 2 for v0.14 the only one in your "Patches" folder? that is correct, double checked it. The endings by world-conquering are disabled by default, you can turn them on only with cheats. 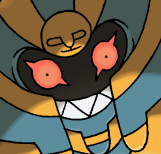 Golem still misses a "Route" ending. how do you turn golum princess human? 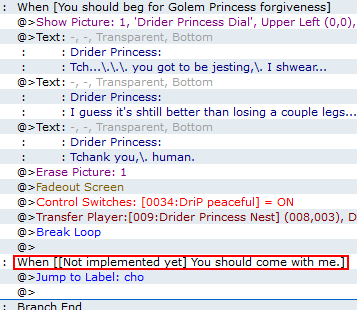 Nevermind, how do you do the infiltration for golem princess? Any chance we could take a boat after doing it once? you might want prevent us from entering the cave of the wendigo queen before we're meant to and move the goods we need for the tavern to the north, cheers. Is 20 going to be the max amount of recruitable princess forever, or do you plan on adding more than that at a later date? 20 is the perfect quota I want to reach before even considering adding more! When does the next Patreon poll for princesses start? I’m thinking of joining to vote. Usually polls start when the previous one is ready. Something is odd... 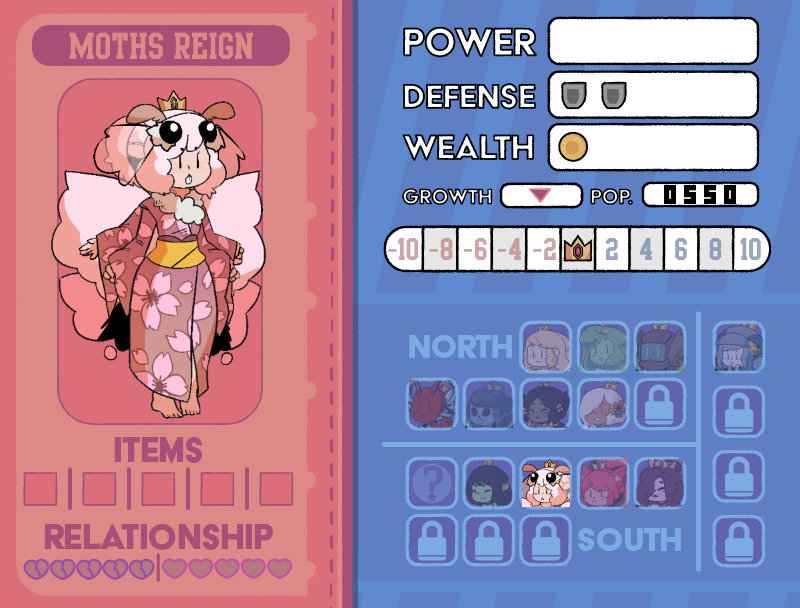 I left the human princess at the tavern with 10 lust, but when I came back to put her in my team, it said something inside her was "broken" and I couldn't get her any longer, What Should I do? What's the difference between buying the game here and supporting you guys on patreon? is the build here an older build than the one patrons have access to or is it the same? Here you get Early Access, no extras such as cheats, monthly galleries and polls, but pay 14,99 just once, while Patreon is for the ones who want to give us monthly support. is the plan to eventually have all the princesses available or are there some you're not going to include? No, the plan is to have 20 recruitable ones. 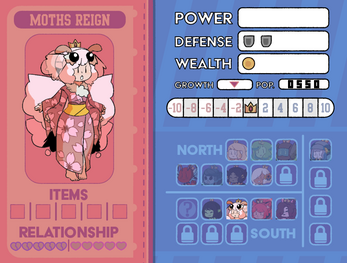 With pregnancy, princess mode and procedurally generated stuff is as much as I can realistically manage. Have the 20 already been decided on or are people sttill voting? There's still 5 free spots, and we vote for them as the previous ones are dealt with. 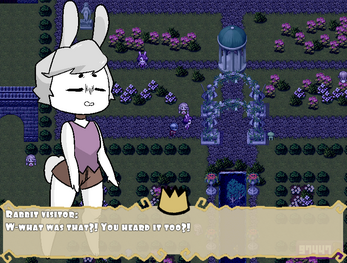 Rabbit is about ready and the Patrons in March voted to have Boy and Wyvern Princess in next. The next poll will see Amazon, Mermaid, Infernal, Orc, Holstaur and Nixie fighting for that spot. Who knows what the future holds for her! 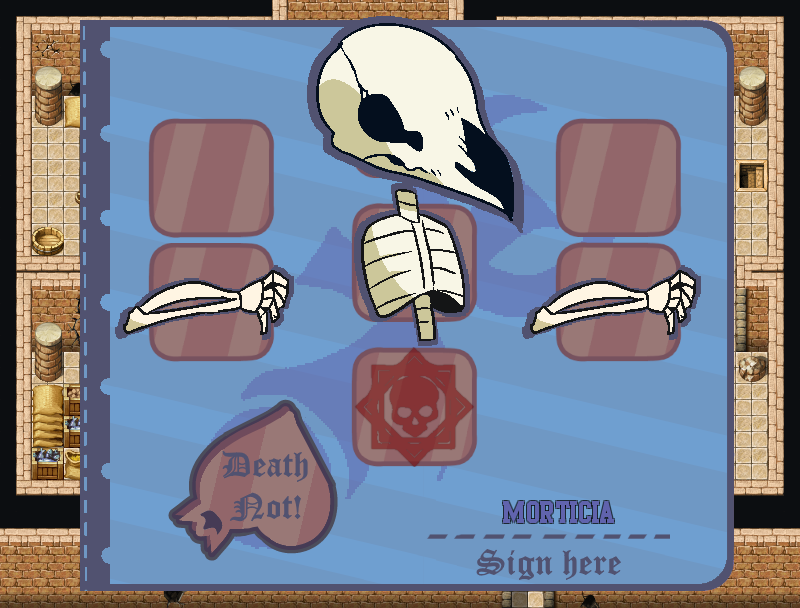 Meet them in the Tavern, Mice Clocktown, Holstaur Bar, Dance Club of Death, Forgotten Gardens or Greenkin Brewery.